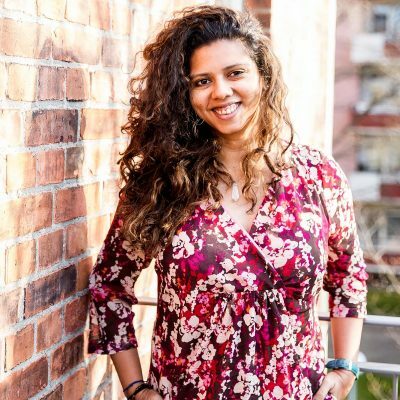 Priyanka Borpujari has been a journalist for 12 years and has been reporting on issues of human rights from different corners of India, El Salvador, and Indonesia. Her work has appeared in various international and Indian news publications. She was named the 2012-2013 IWMF Elizabeth Neuffer Fellow to recognize her journalism covering issues of forceful acquisition of land owned by indigenous peoples. In 2015, Borpujari was one of the India-Germany Media Ambassadors and a guest journalist with the German political weekly Die Zeit. In early 2016, she was a Fulbright Scholar-In-Residence at Nazareth College in Rochester, NY, the USA, where she taught a course on media and human rights. Previously, she has also taught a course on community media at Mumbai’s Tata Institute of Social Sciences (TISS). In 2014, she developed The Kali Writes Project which aims at healing through writing. She has conducted these workshops among Muslim girls in Mumbai, women in Cape Town, and among male prison inmates in Rochester in the US. This year, she is walking across India with Pulitzer winning-journalist Paul Salopek, on his 21,000-mile Out of Eden Walk.